Hello friends, happy Easter week. 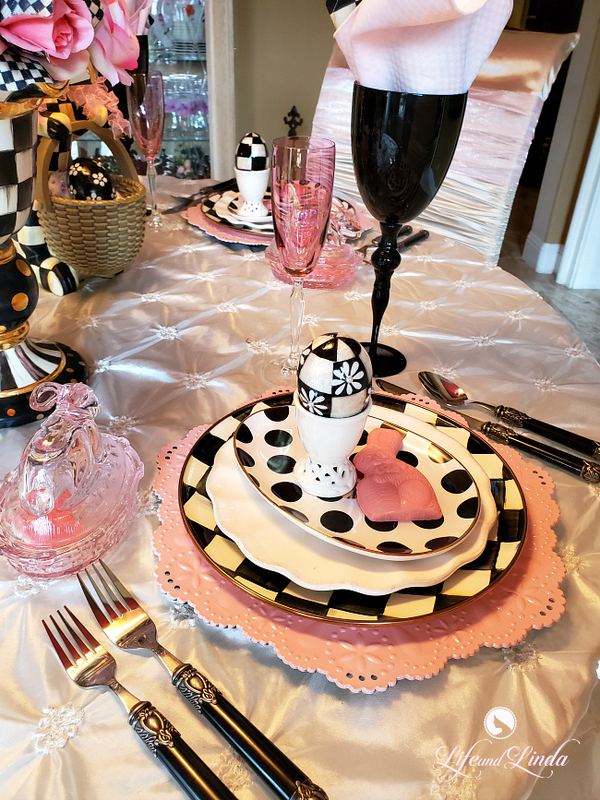 I wanted to share a table with you with some of my Mackenzie childs dishes. The egg shaped plates are new, as are the cute eggs in the egg cups. Most of you know I dress my chairs and usually my chandlelier. 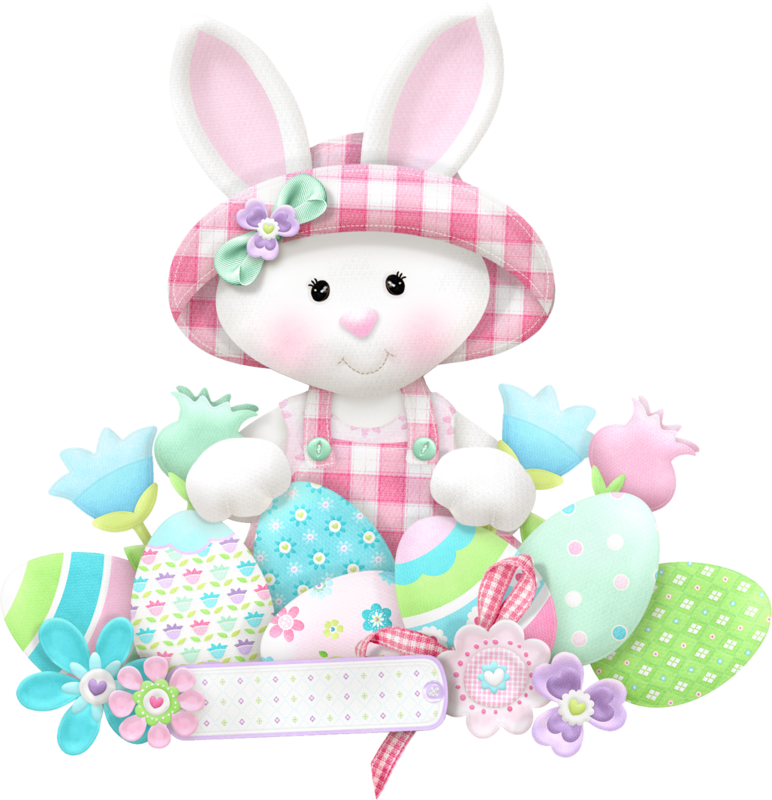 Rabbit Rabbit...this cute little bunny is holding some darling eggs. Champagne anyone? 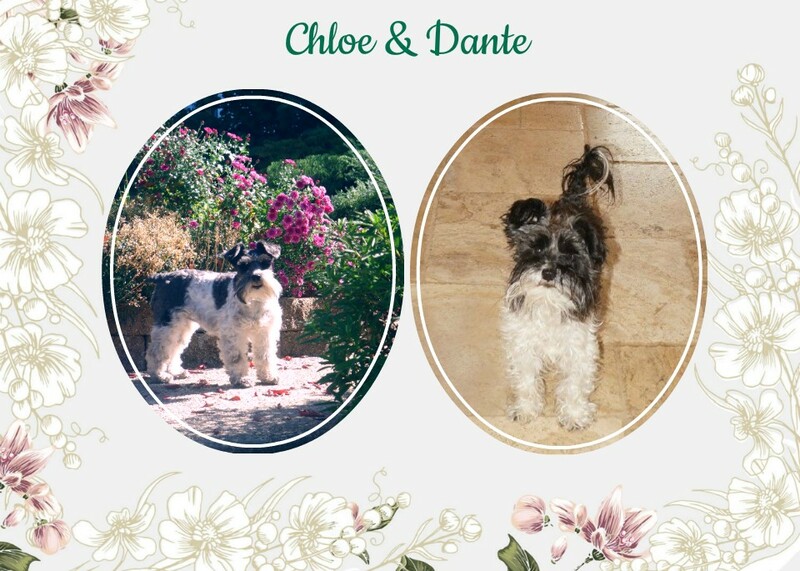 My husband and I have champagne every Sunday. Lately I had my husband add mango juice. 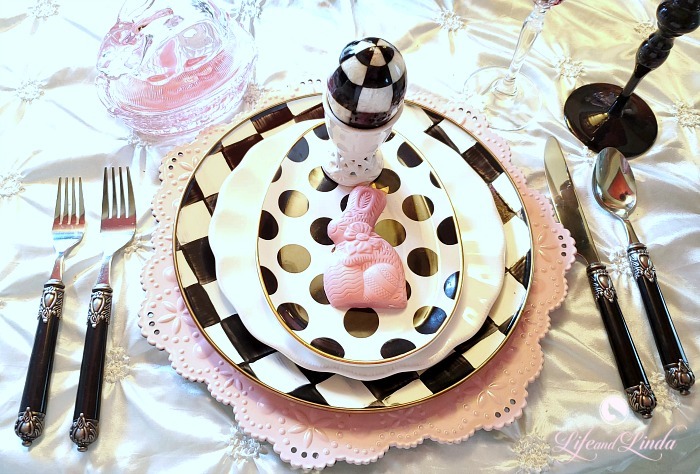 A closeup of the plate stack, complete with a strawberry and cream chocolate bunny. 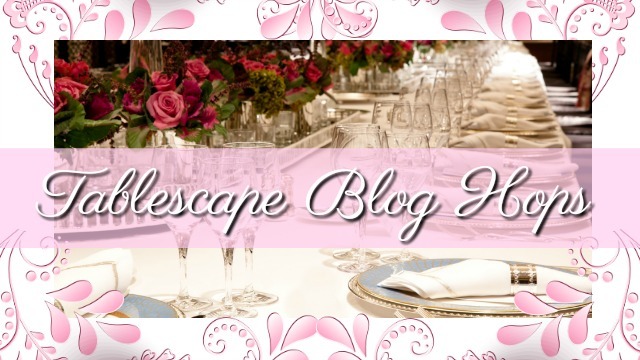 You may have noticed, I did not changed the tablecloth or chair covers. You can mix and match to create other pretty tables. I changed the flatware to black to coordinate with the black and white. I think the pink looks lovely with the contrast of black and white. 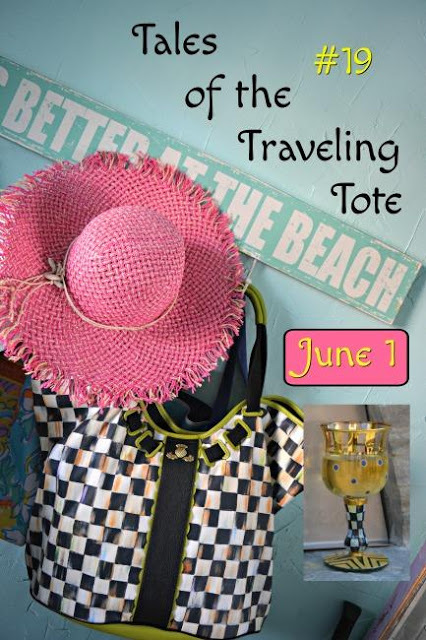 My hubby surprised me with this Mackenzie Childs vase last year. I love the gold accent on it and the polka dots. 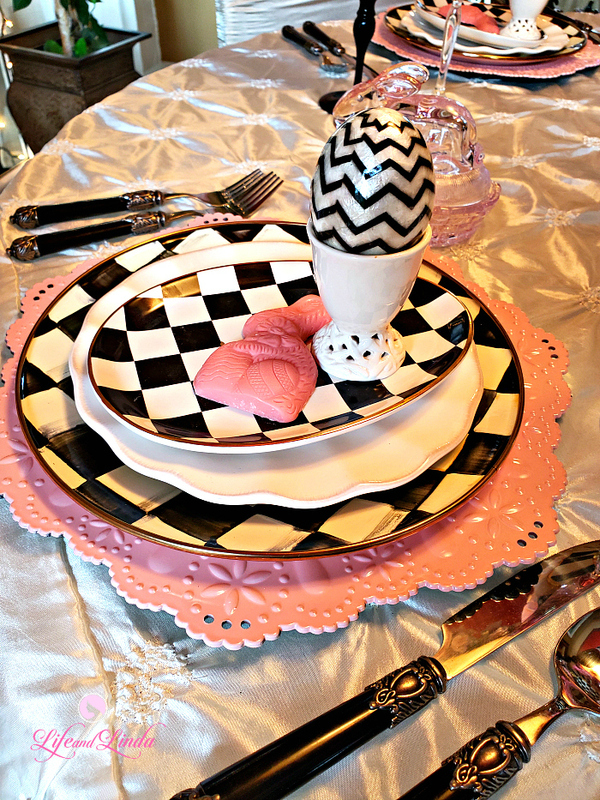 One of the eggs is a chevron design. 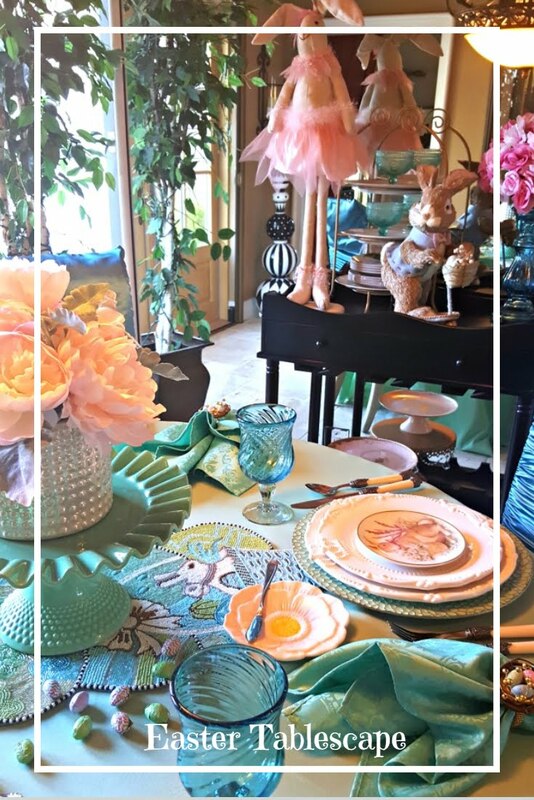 I added a pink chocolate bunny to each plate. My Grandin Road candles look nice with the Courtly Check dishes. Notice the sweet little chicks. I made some strawberry cupcakes with pink buttercream frosting. Love our table Linda. The black and white along with the pink is so pretty. Love the little pink bunnies. 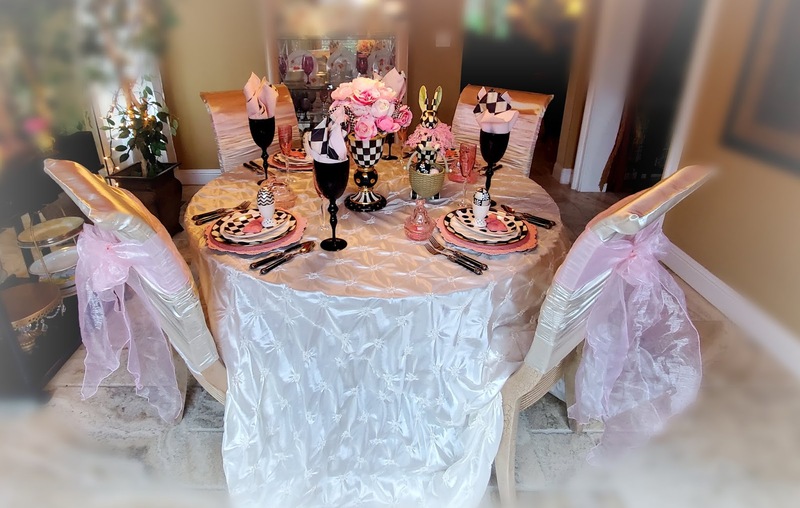 WOW, this table setting is wonderful, Linda! This is lovely! Love the MC accents with the pink and cream. Those strawberry cupcakes sure do look good! Happy Easter Linda! MKC looks so pretty in pink! Adorable Linda, I especially love the bloom in the chick's egg cart! Your Rabbit Rabbit is precious!!! VERY dramatic! 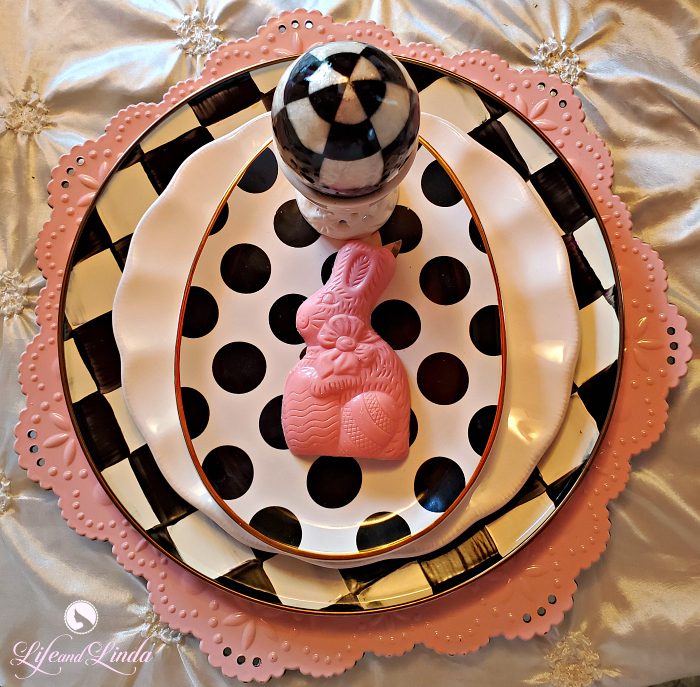 Love the pink chocolate bunnies on the plates. A nice touch! Linda, this table is so elegant, but yet whimsical. 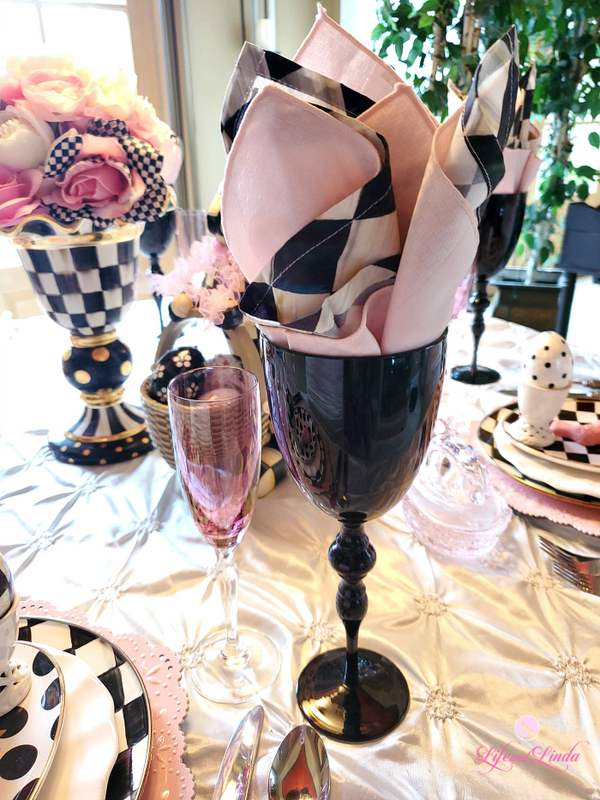 I love your use of pink and black with the MKC collection. Wishing you a blessed Easter! 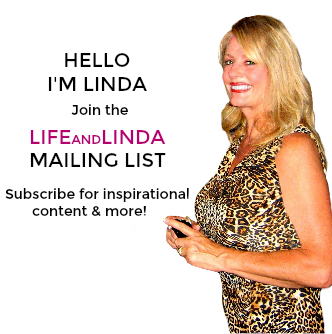 Hello Linda, WOW! You really know how to decorate a table so beautiful. 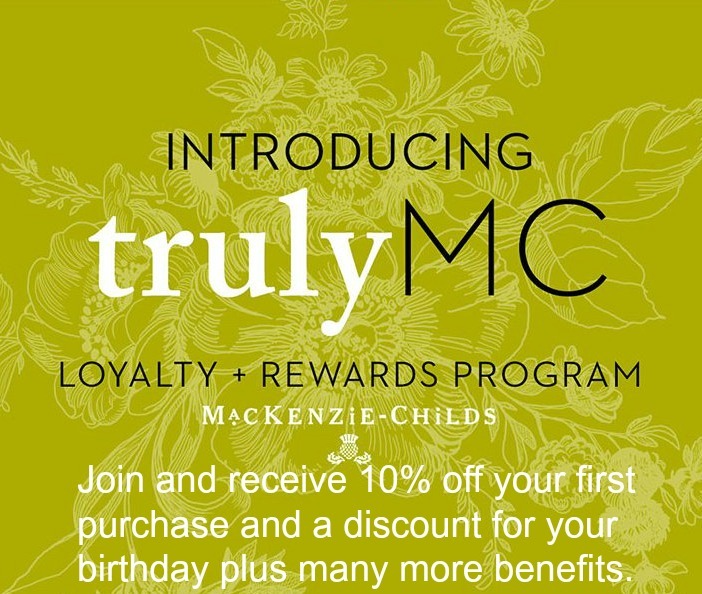 I love this MKC theme look! How nice that your husband bought you the vase last year to add to your beautiful collection. 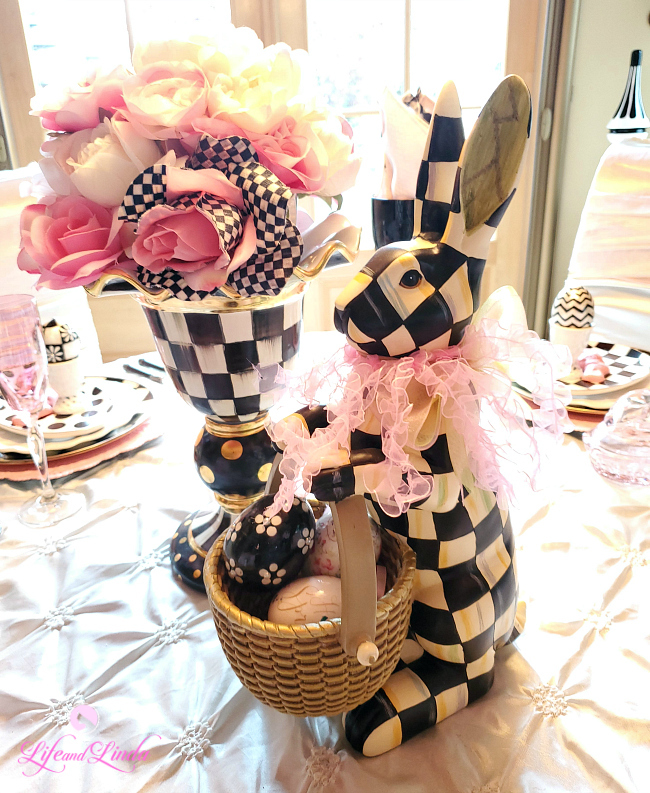 I love the cute bunny and the chandy you decorated. Enjoy the rest of the week and have a Happy Easter. 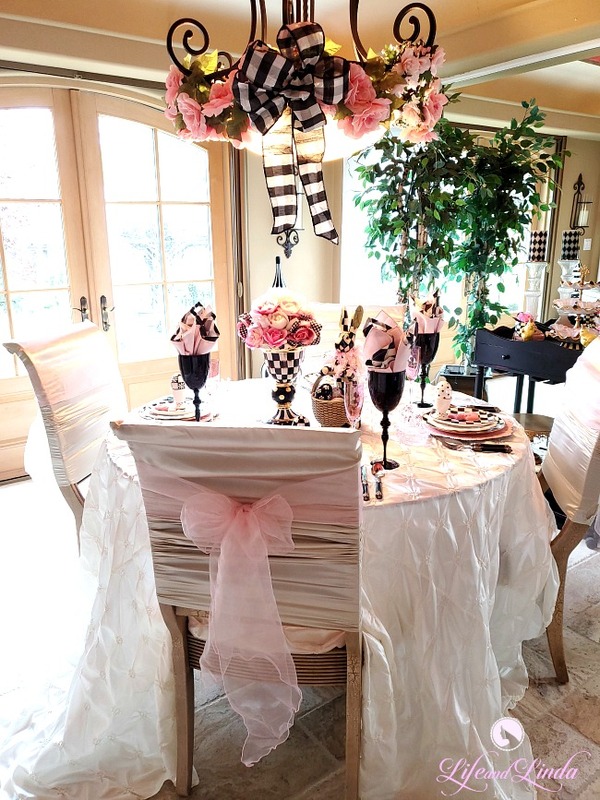 Linda, I love your table and I am really into pink this year so the color along with your MCC has me drooling. So pretty! Happy Easter my friend. 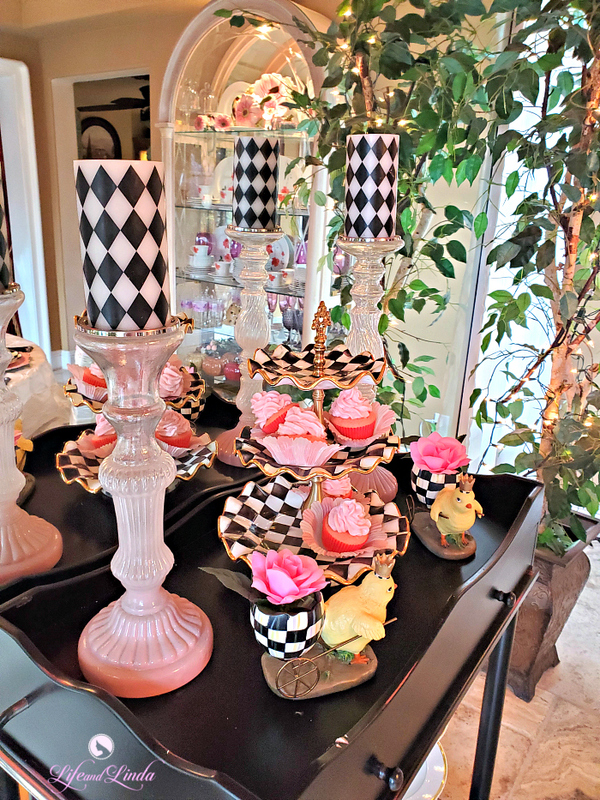 The pink is lovely with the Mackenzie Childs pieces. Everything is so festive and pretty. Wishing you and yours Easter Blessings. This is so gorgeous! I love the pink with the black and white. Perfect for Easter! I hope you have a blessed Easter! 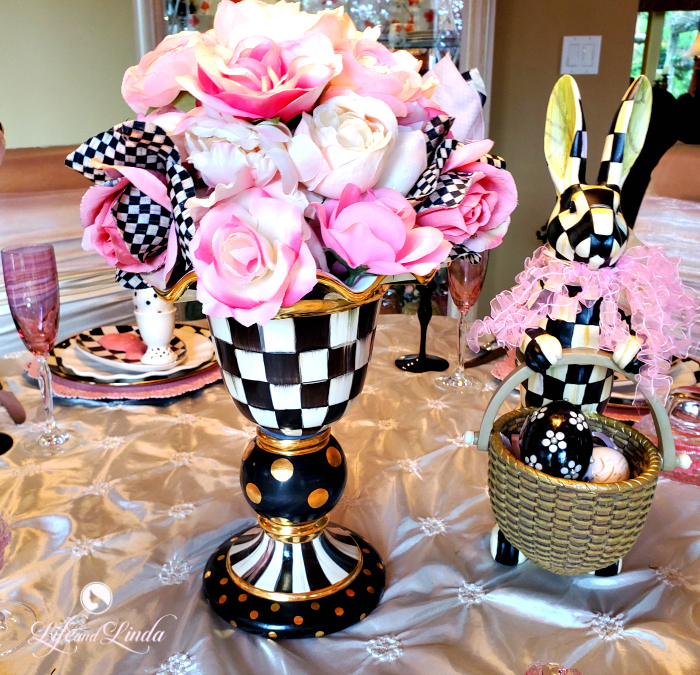 I love your MacKenzie Childs Easter table! It's absolutely stunning! Happy Easter to you and your family!